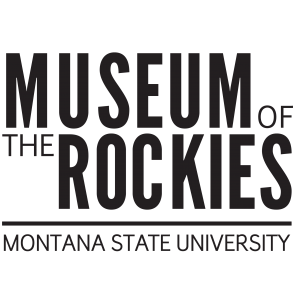 Did you know that Museum of the Rockies (MOR) provides complimentary class visits to engage and inspire your students while enhancing your curriculum? You have the ability to send your class on their own time or to accompany them during a group visit. All you need to do is to contact MOR's Education Department a minimum of two weeks prior to discuss the details of your student's experience. We always look forward to working with MSU students and faculty! With over 140 original works included from over 75 books, the exhibition explores the art and history of popular children’s books from 20th-century pen and ink to modern digital creations. This exhibit will be a place full of puzzles, brainteasers, and interactive challenges that will test the brain power of the most experienced puzzlers. Explore the culture, conquests, and heritage of one of the world's greatest conquerors, when the treasures and stories of Genghis Khan's 13th-century Mongol Empire are presented. View live cultural performances by traditional Mongolian artists. Bozeman photographer, Albert Schlechten, created a series of landscape photographs that expressed his love of Southwest Montana and Yellowstone Park. This is an exhibition of one of Montana’s best photographers, presenting a dramatic and beautiful natural world through the lens of Albert’s camera. Become a caterpillar and transform into a butterfly in this exhibition. Hatch from an egg, learn to walk like a caterpillar, make friends with ants, and flap your wings like a butterfly! This hands-on maze features activities and discoveries the whole family will enjoy. To learn more, or to make a reservation, contact Jaime Augst, MOR's Education Coordinator via email or at 406-994-5257.